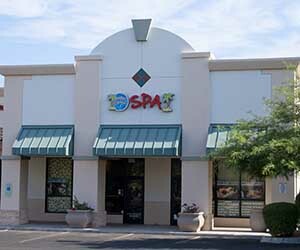 We continue to work on the remodel of the Scottsdale Spa. So far we have started the lighting in the treatment rooms that will be continued soon and we have started the repair of the fountain that is in the lounge. Today we began refinishing our lounge furniture. Early next week we will have all new cushions. Here are some pictures of the furniture before and after.